Six reasons why I am the right sleep consultant for you. My knowledge and experience will help families focus on a plan that suits their parenting philosophy, their emotional and physical state, and other important variables that are necessary to find the right fit. Every family is different, and as a qualified child sleep consultant, I will not offer a “one size fits all” sleep plan; all child sleep plans will be customized to the families needs. 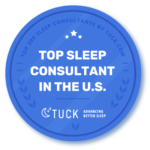 As a trained child sleep consultant, I am able to keep families on task and motivated while implementing a strategy. This is a very challenging task for families to do on their own. I am able to make quick adjustments when the plan requires a change, thereby keeping the family on the right track. I am able to ensure that both feeding needs and sleep needs are being met. I educate parents on healthy sleep habits for their family’s immediate concerns, as well as healthy sleep habits for a lifetime. I am there to support you every step of the way. 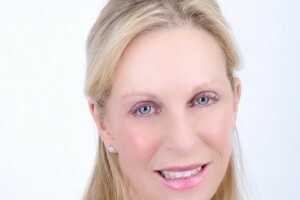 From the initial phone conversation where I assess your situation and needs, to evaluating the detailed intake form you provide for me; to the implementation of the sleep plan I design for your family, to following up daily-to chart your progress, address any concerns and answer all questions. 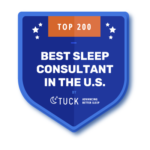 Along with my expertise in working with sleep deprived families, you can feel confident in my knowledge and understanding of safety issues because: I am a “Safe to Sleep Champion” and keep up with the American Academy Of Pediatrics (AAP) safety guidelines; and consumer reports on baby products and equipment. I continually further my education in areas pertaining to babies, children, moms and families. My 1st grandson is 5&1/2 months old. For the 2 to3 months he would take short naps while his mom held him. 5:30 am he is up for the day. He is sleep deprived, hasbags under his eyes and is just happy and cheerful most of the time!! If he finally naps it is only 5 to 15 minutes! What you are describing is very common. At your grandson”s age he should be napping at set times each day. A defined morning and afternoon nap. Both naps serve distinct purposes besides the need for rest. The morning nap is cognitively restorative, while the afternoon nap is physically restorative. Try and get him down between 8 (and if he is up at 530, 8 is best) and 9 am, and then again 12 and 1 pm. It sounds like you may have to do some sleep training to get him to nap, but on the other hand, he may actually nap better if he is put in his bed at the correct times. Good luck. My girl is 2 years old. I was never able to set her a bedtime schedule. It has been always as when she feels sleepy. I was never able to put her to sleep when I want. Now she has been really bad in her sleeping. She sleeps 10pm and then wake up at 2am and never go back to sleep. If it comes 9 and she takes a 5 min nap, the makes her up till 2 or even 4am. I usually lay down next to her and sing for her but she decides if she needs to sleep or not. I don’t know what to do. I tried everything with her. I feel like I need a product to put her to sleep to reset her brain. Even if I tire her out through the day, she sleeps no more than 6 hours. If she sleeps at 11pm she would wake up at 7am and nt nap again till 4pm. Which make her awake till late ttime. Plz help me. What you have to do is put her to bed at a reasonable time, 6:30-7:30 and allow her to fall asleep. If she cries or screams then you may need to attend to her, depending on the type of sleep training you want to do. But ultimately she needs her sleep, and you have make sure she gets it. I would say she is extremely overtired and that is one of the reasons she is not sleeping properly. Once you get her sleeping the way she should, she will get into a good sleep routine. Good luck! Please help! I’m at my wits end. My daughter is 9 months old and a terrible sleeper. She is up 3 to 6 times a night and screams hysterically until she is nursed. Our pediatrician said she wants her weaned off the night time feedings, which I would like too, but I’ve tried every sleep training method out there and nothing works. She has had a solid bedtime routine since the day she was born, her routine is pretty good altho there are crazy days where things are just off, but I just can’t get her to sleep more than 3 hours at a time. Our first one was a breeze and was perfectly regulated by 7 weeks. She’s just not having any part of it and her dad and I are exhausted. She naps twice a day, anywhere from 30 min to 2 hours, tho long naps are rare. Wake up is usually around 8, first nap is around 11, last nap around 3, and solids 3 times a day. Any ideas? Sorry you are having such difficulties. I would start by getting her up at 7 am and then get her down for her first nap around 9. Her second nap around 12-1230 and then bedtime anywhere between 530 and 630 pm. Watch to make sure she doesn’t get overtired or it will be hard for her to fall asleep. Let me know if these suggestions help. Good luck! I’m so sorry to hear what you are going through. Your daughter definitely needs more sleep. I think you should be putting her to bed much earlier. Between 530 and 630. Make sure you have a nice long soothing routine before bed. And make sure her room is dark, quiet and cool. No stimulation at all. No mobiles or any kind of music, and no night lights. If you can start implementing these suggestions and you still don’t see an improvement, then I think you will have to start thinking about sleep training. Good luck !